with mountain views of the Saint-Julien and Mont Ventoux (known as the Mecca of cycling). cottage with private garden of 400m². In the land of cicadas and lavender, warm hospitality will welcome you in Provence! gîte for 1 to 4 people, the subtle, colorful decoration of Provence and the Orient. You will feel at home during your stay with us. • TV, DVD player, hi-fi system. Fully equipped bathroom, spacious, practical, light and perfectly suitable for people with limited mobility. We thoroughly enjoyed our stay. 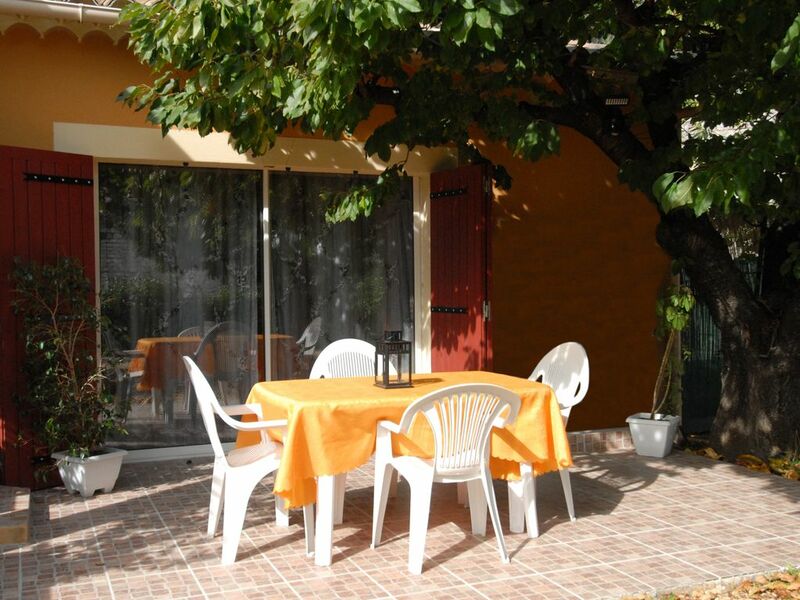 The property is compact but comfortable and provided an ideal base for a three week climbing and walking trip in Buis les Baronnies. It came with a fully equipped kitchen for eating in but is only a few minutes' level walk from the town centre when you choose to eat out or go to one of the local bars and cafes to meet friends There is also a supermarket nearby. The patio area was perfect for al fresco breakfasts and relaxed evening meals or entertaining. The garden also has a wonderful view of the spectacular fin of the Rocher St Julien, which dominates the town. The owners were delightful, endlessly helpful and a pleasure to meet. We found that living next door to such a friendly French family added an extra dimension to our holiday and our experience of Provence. We have absolutely no hesitation whatsoever in recommending it to friends and other holidaymakers - provided they don't take the slot we want for ourselves next year! merci beaucoup vous êtes des personnes super!! The studio was perfect for our needs -- family of four, two young children -- and for a base to enjoy the village and the region. Our children enjoyed the spacious garden and we enjoyed the calm of the terrasse and lawn chairs for reading in the evenings. Our hosts were very welcoming and on hand to provide for anything. The apartment was well provisioned with all manner of cutlery and crockery and we were able to feel at home for two weeks. We hope to return next year. Merci encore merci à vous un bonheur de vous recevoir. Nous avons passé 5 jours dans ce joli village de la Drôme provencale. Le gîte est tout près du centre et dans un environnement très tranquille. Gite très bien équipé et très propre. Les propriétaires étant absents ce week-end, mais tout était organisé et ils nous ont fait une totale confiance. Nous avons fait sa connaissance que le jour du départ et ce fut très convivial. Merci pour tout je recommande vivement.